In order to actually learn something, you have to practice what you study as much as you can. This is why every unit of our Italian online course comes with a group of exercises on the grammatical topic covered in the lesson. Our advice is to follow the structure of the course, studying the grammatical topic, going through all the corollary material (texts, videos, pictures…) and then working on the exercises. However, you may be interested in a collection of Italian language exercises: maybe you have already studied the grammar somewhere else. 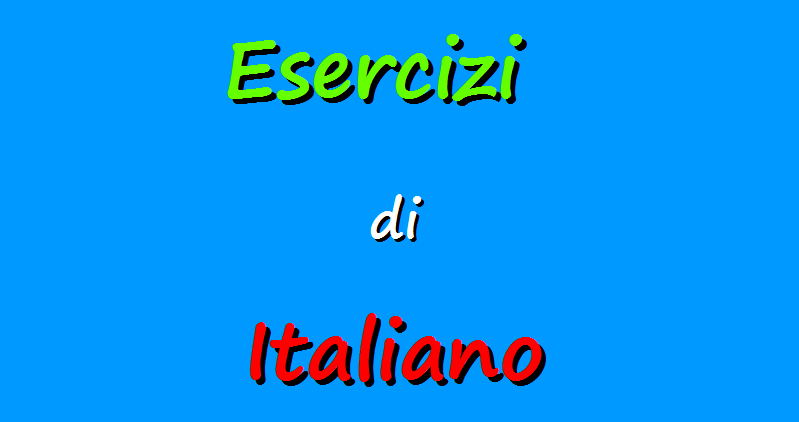 This is why we have prepared this page, where you will find everything you need in order to challenge yourself into improving your Italian language skills. Each page has a link to the other pages in the unit, the ones where we cover the grammatical topic or where we provide the auxiliary materials: if the exercises seem to difficult just go back to the lesson and dust your knowledge. All the above pages are available in the Italian version of our website. We are now translating the pages with the exercises into English. Come back often for the updated pages!